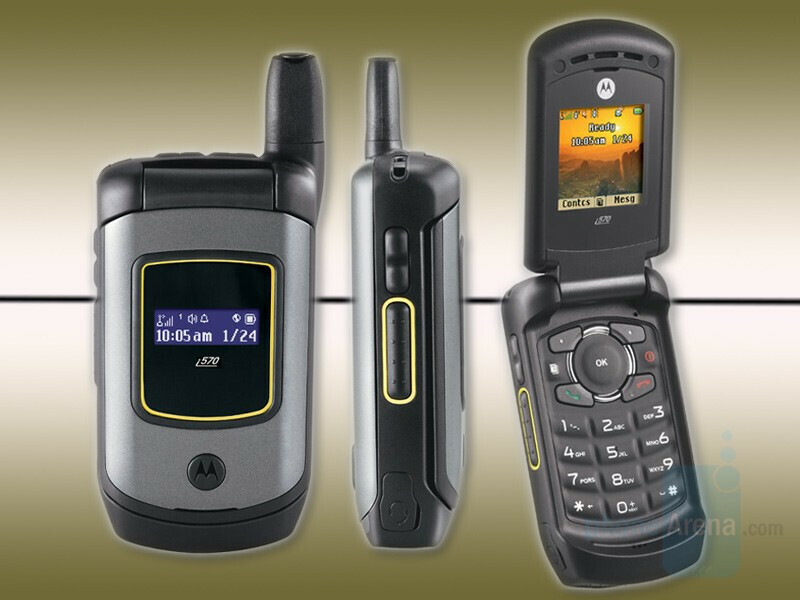 The new clamshell Motorola i570 is already available from Sprint, as it was expected. The handset is certified to Military Standard 810 F for dust, shock and vibration. The device supports Nextel Direct Connect services and it has dual displays, GPS and a speakerphone. After instant savings and a mail-in rebate, provided you get a 2-yr, the base price of $299.99 is lowered to $99.99.